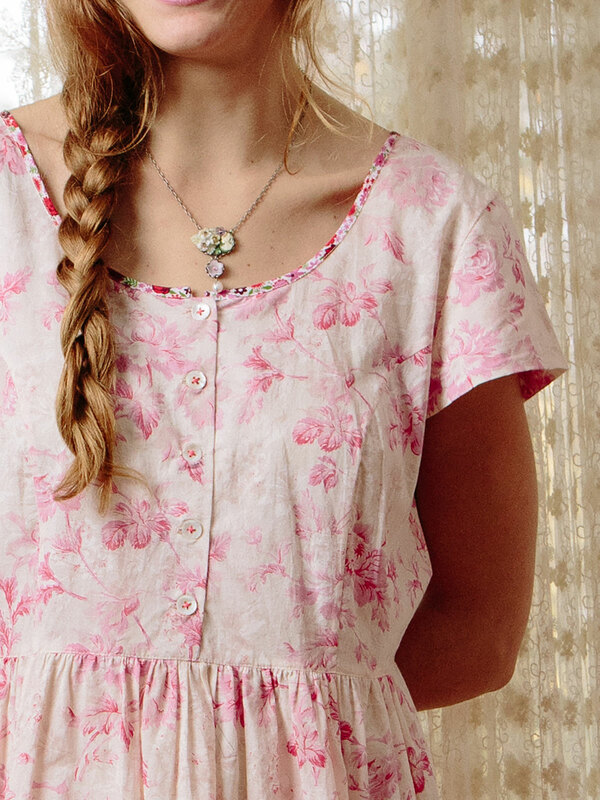 Like a cherry-swirled sundae or cotton candy from the fair, the Pink Cloud Porch Dress presents a sweet April floral in the most delicate and smile-inducing of palettes. Lightly shaped in the body and gathered below the waist for a free-flowing silhouette. Self-fabric ties insure the perfect fit. Love this dress. It has pockets!!! And small discrete sleeves for a girl who believes that she needs them! They are perfect nice little caps that will not be uncomfortable on a hot day but provide my need to cover a bit. So darling and even practical. I love living in April's dresses when it turns warmer. They just make you feel pretty and hold up so well. This one is no exception and will look great with my cropped leggings or pantaloons. 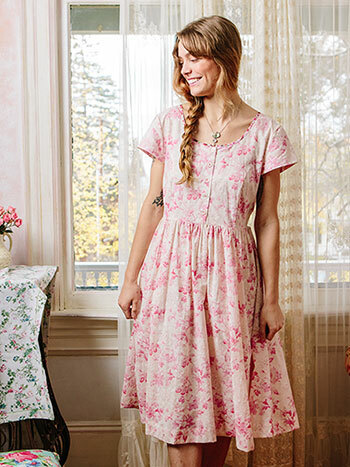 I have to have pockets for my busy life and love that so many of April's new designs have them! A winner that is true to size.